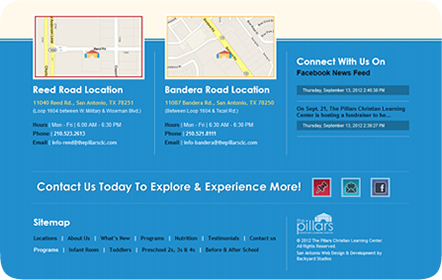 The Pillars Christian Learning Center is a Christian-based early childhood education and daycare with two convenient locations in San Antonio. Development, compassion, integrity and faith are the four pillars that serve as part of their successful teaching, developing and caretaking philosophy. 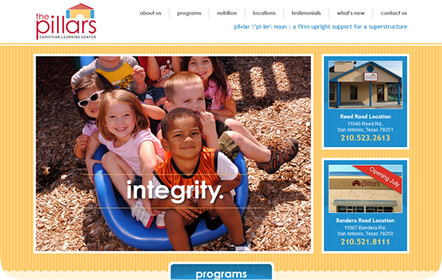 Children from infants up to the age of 12 can learn and grow in The Pillars Christian Learning Center. 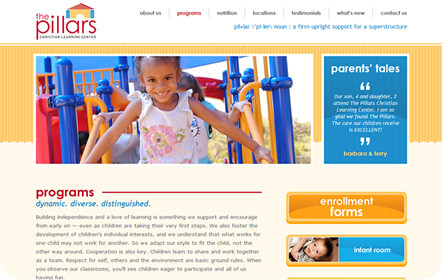 The Pillars takes pride in its award-winning curriculum and it was key to deliver a website conveying it. 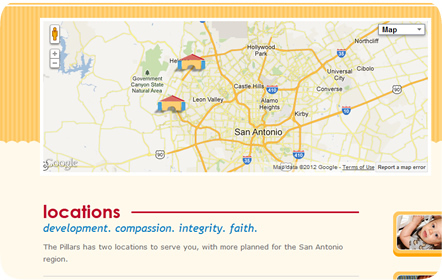 We wanted to position them as a premier learning center in north San Antonio. 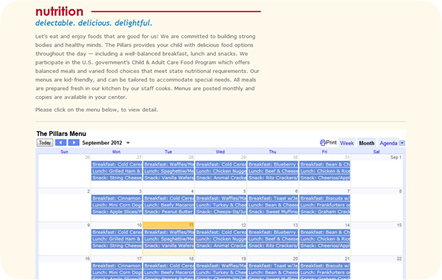 We focused on their professionalism and integrity in the website along with various other print pieces we worked on simultaneously, such as their direct mail, brochure and business cards. 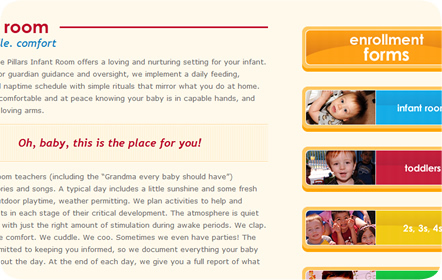 We included a dynamic news area, skinned to match with the same look and feel as the rest of the website. All of these pieces worked cohesively to ensure the success of their newest location on Bandera Road, which opened in July. Since its completion, The Pillars website has shot to the #3 spot on Google’s search engine with the help of our organic SEO.